Alpha Lambda Sigma Alumnae Chapter boasts a rich history in the Greater Cleveland community. Founded June 20, 1942, Alpha Lambda Sigma was the first graduate chapter to be chartered in the state of Ohio and we were the first to host a Cotillion Ball in the city of Cleveland. 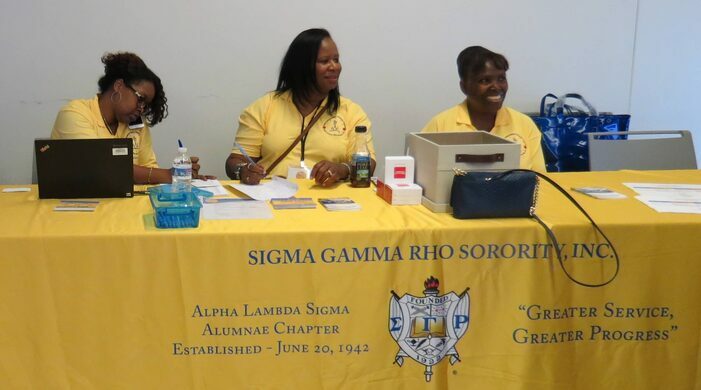 Known for service to the youth of the community, Alpha Lambda Sigma continues to provide educational and civic opportunities for youth through programs such as Weesavers and Youth Symposium, the Rhoer Club and scholarship opportunities. The most recent community service offerings were a Hattie McDaniel Breast Cancer Awareness and Health Fair and a Golden Alert Town Hall Meeting where we discussed solutions on how to handle social justice issues. Our impact is deep in the community. Sorority Slogan: "Greater Service, Greater Progress."